Don't be fooled by its typical instant-noodle appearance. It's doesn't taste anything close to instant. The noodles are exactly the ramen noodles that served at actual ramen shops, and its shoyu-based chicken soup is as rich as the "real deal". Ramen selling anywhere in Singapore ($11 onwards) now is too expensive for me, so I shall be loyal to Menshokunin's Shoyu Chicken Soup Ramen. A bowl costs around $4, which is only a quarter (or less) of the price for a "non-instant" one! 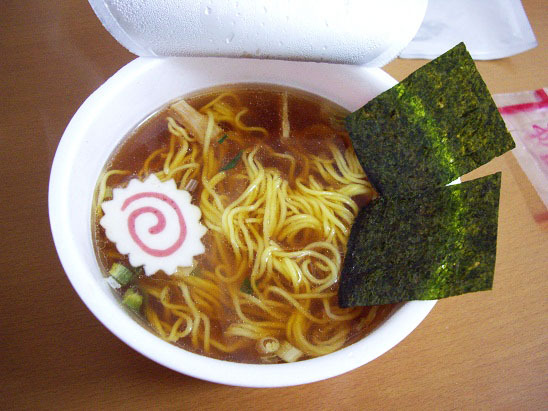 This is a weird suggestion but, eat this ramen with one or half a bowl of rice. AWESOME LEVEL UP.